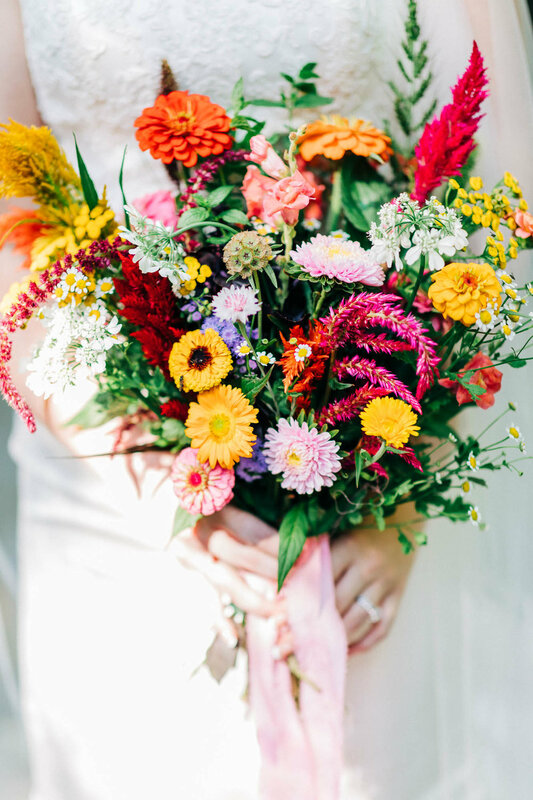 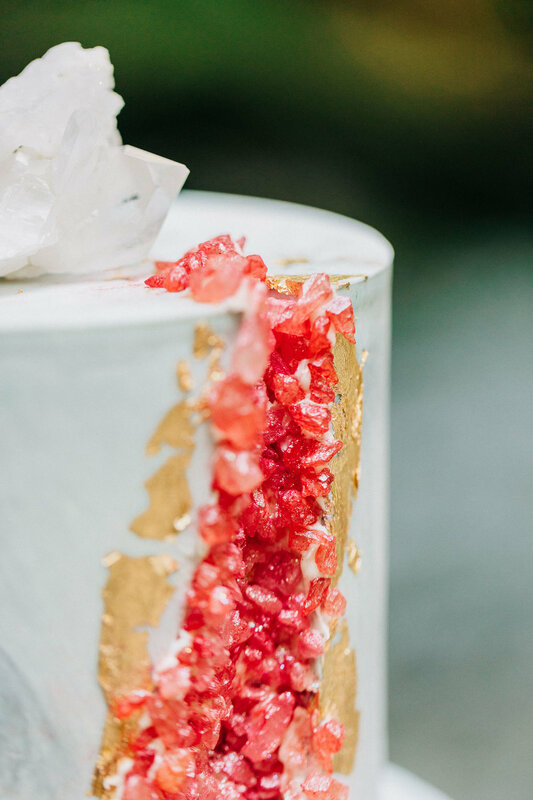 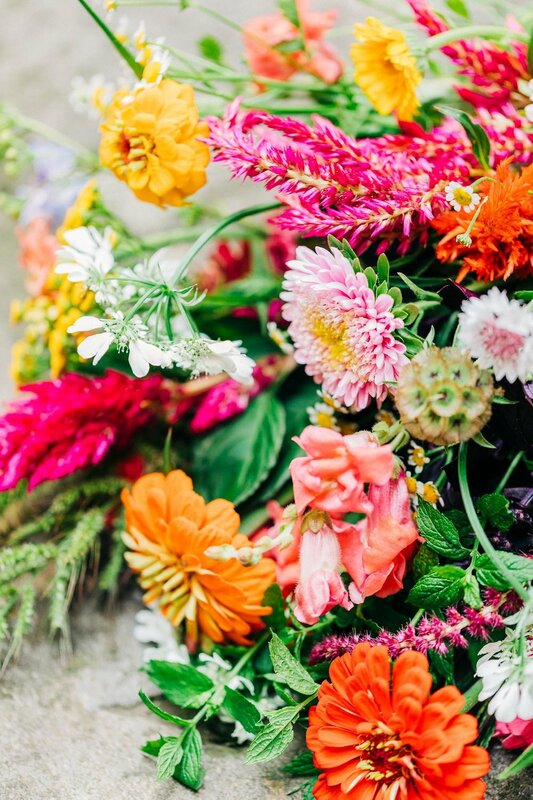 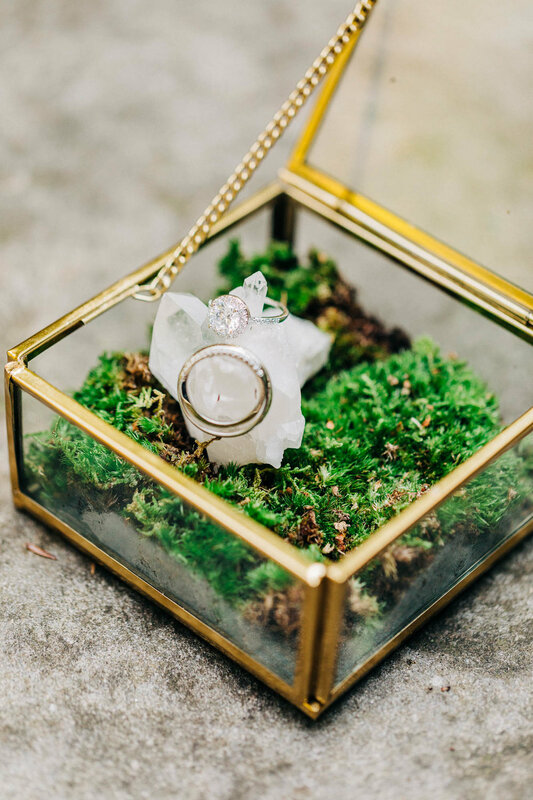 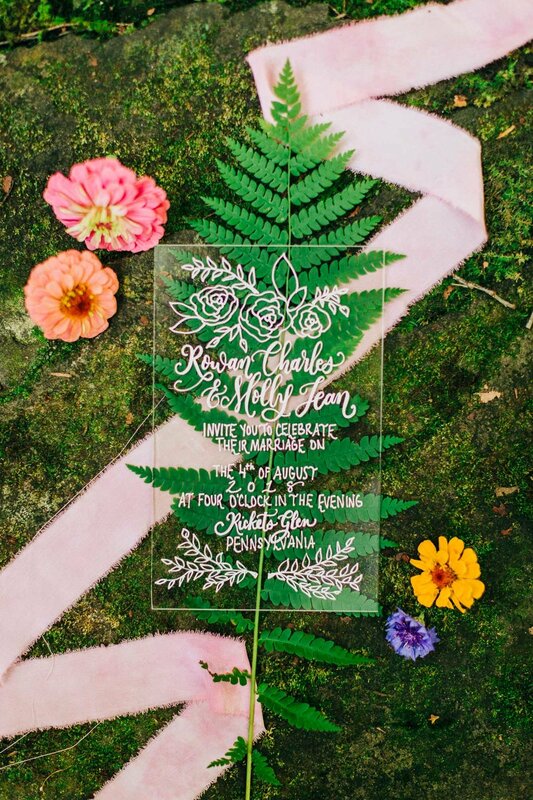 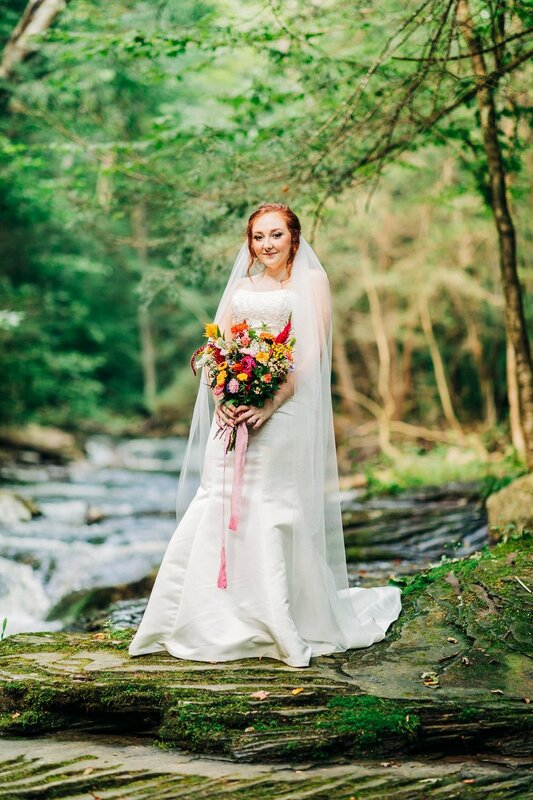 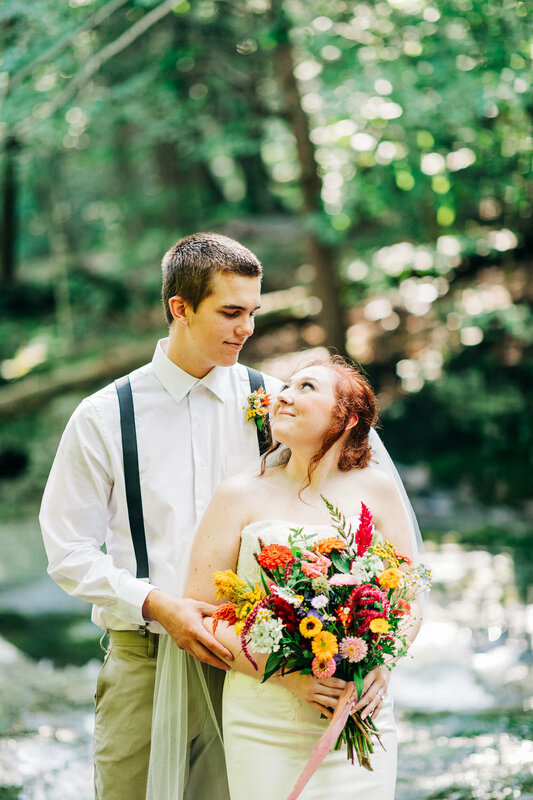 This vibrant Ricketts Glen Waterfall Styled Shoot was what summer Pennsylvania dreams are made of. 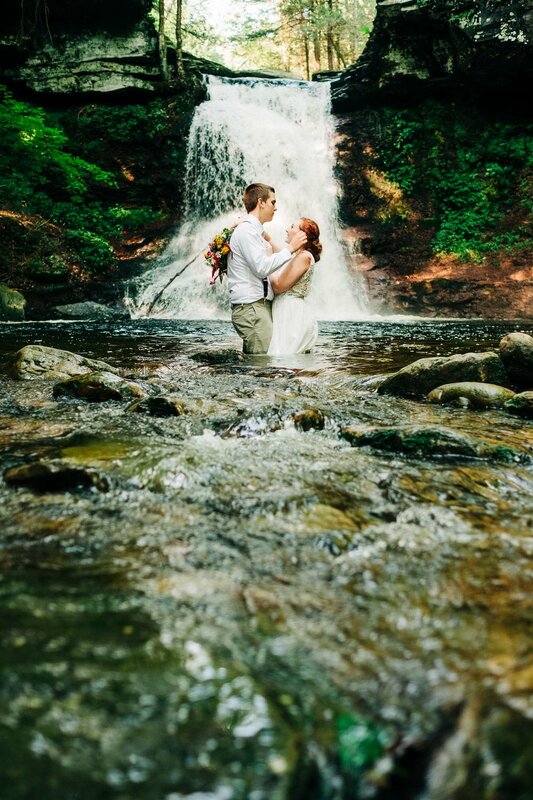 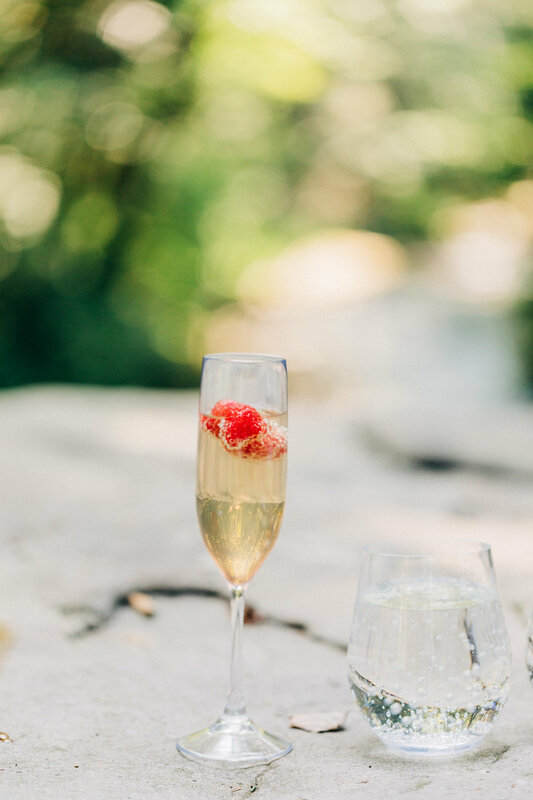 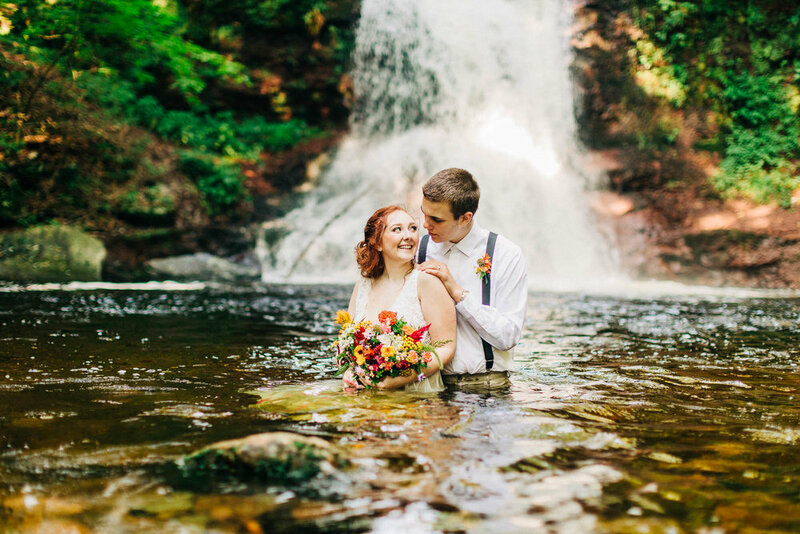 Despite the heavy rains that have been impacting our area recently, some area swimming holes are quite beautiful, especially for a summer elopement in the mountains if you're an outdoorsy type of bride. 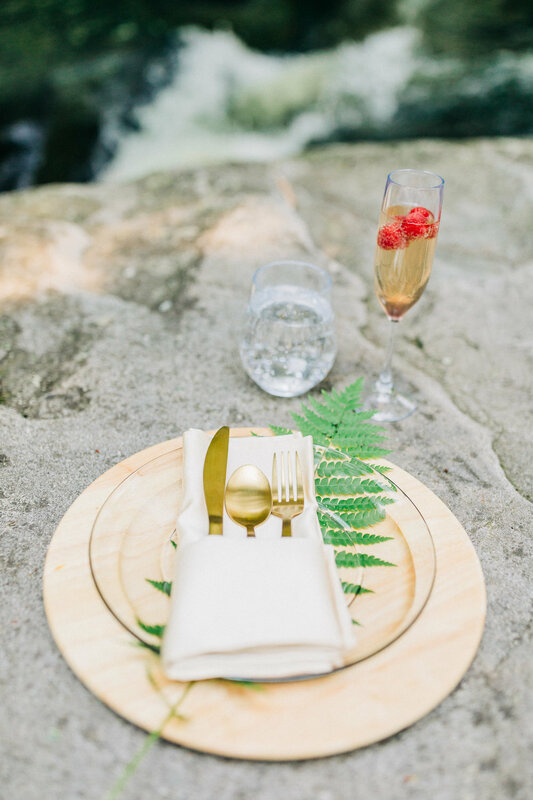 The inspiration behind this shoot was precisely that. 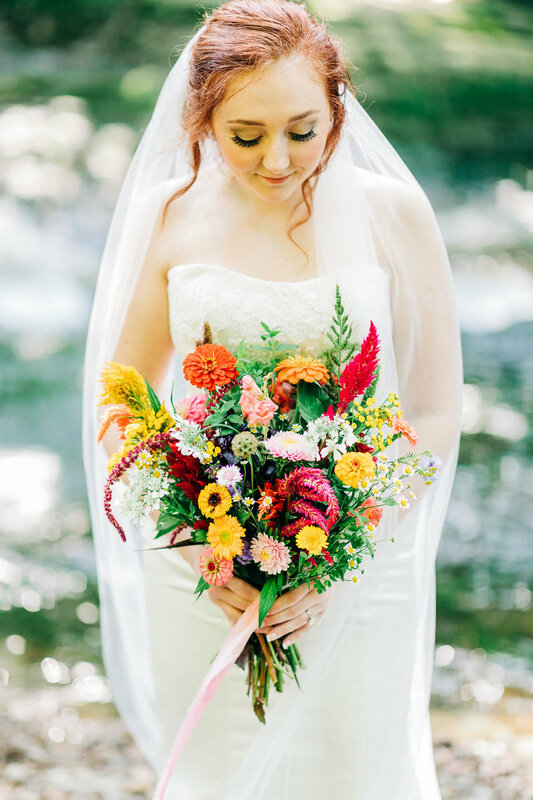 The mountains of Pennsylvania and the variation in the landscape is something that's so inspiring for me personally, and this session combined vibrant, locally grown flowers from Patchwork Planting with a woodsy feel sewn in throughout the wood place settings, the stunning invitation suite from Flourish Grace Calligraphy that even featured wildflowers in the envelope liner, the agate inspired cake from Bellas Bliss and of course the secret location at the foot of a gorgeous waterfall nestled along a gravel road in the middle of the dense forest. 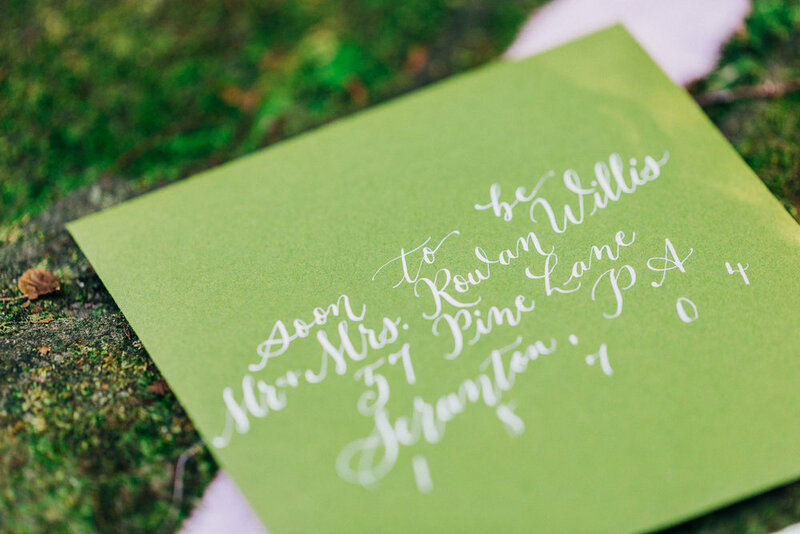 For the full vendor dream team list, be sure to scroll down to the bottom of this post!